Say hey to Donovan Erskine. 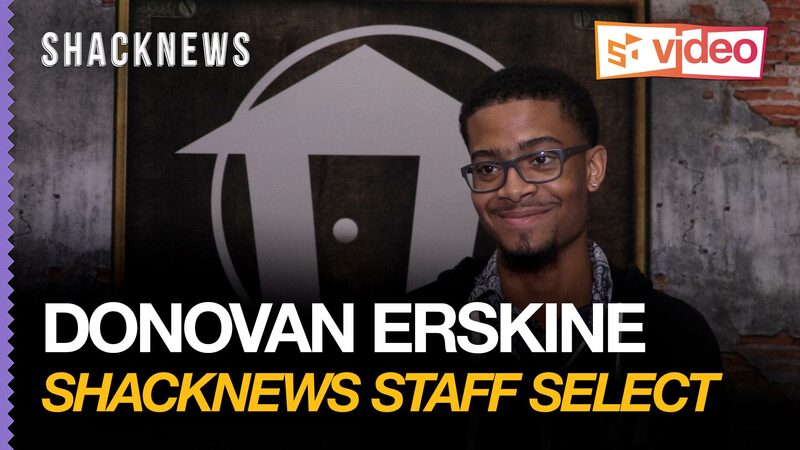 Intern, Shacklemania Champion, Pokemon connoisseur, and the resident millennial of Shacknews! Asif brought me onto the editorial staff as an intern in early 2017, and working with this team has been nothing but sheer joy. I’m currently in college studying broadcast journalism and being at the Shack, surrounded by a brilliant and supportive cast of characters has provided me with an awesome platform to hone these skills and get a headstart on my career. What’s some cool info about me? Well, you should probably direct your attention towards the video below for some of that, but I can fill you in on the stuff Greg and I didn’t speak about. I love movies. I could sit around and chat about the world of film until I pass out. In fact, in my first appearance on the Shackcast, I derailed a show about video games into a two hour deep-dive into the current state of Star Wars and the Marvel Cinematic Universe. My favorite flicks of all time are Jurassic Park, The Empire Strikes Back, and Scream! What’s that? We’re supposed to talk about games here? Right. I grew up on Pokemon, Halo, and The Elder Scrolls. These three franchises alone made me fall in love with video games and set the stage for where I am today. The coolest thing I’ve gotten to do with the Shack was attend events like PAX East and E3 (twice! ), which is honestly something I never thought I’d be lucky enough to do. Speaking of E3, that’s where we shot my Shack Staff Select! I hope you enjoyed this brief insight to life of the youngest member of team Shacknews. If so, be sure to check out our YouTube Channel, where you can see the rest of our (much more interesting) team members talk about themselves! P.S. Tell Asif and Greg The Last Jedi rocks. I will NOT tell Asif & Greg that TLJ rocks... damn millennials, get off my lawn! jk we're cool, it's nice to see some young blood around! "Write about what you know", they said. Well if anybody knows Donovan Erskine it's Donovan Erskine! Also, we, as users, will hold y'alls' feet to the fire when needed.